Somethimg to look into here, the possibility of Scottish canal boating holidays. 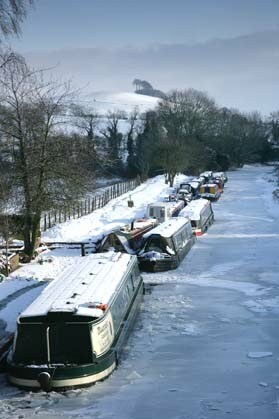 Winter opening at Gibson’s Boat Services at Honeystreet on the Kennet & Avon Canal come into effect from October 1st. They will be open Thursday to Monday from 10am to dusk or 6pm (whichever is earlier). They will be closed on Tuesdays and Wednesdays — except for emergencies or by prior arrangements. All of their usual services will be available: Diesel, gas, pumpout & toilet fluids, water, & stove fuels. You may not need these specific boat services for winter canal boating holidays but it’s useful to know what’s opening when planning canal boat holidays for October through to March. The water take on service for example is vital, and you ight just need an unplanned pump out. Ralph Underhill, Our Rivers campaigner, said: “This is the first time people have had a chance to vote for the river which is closest to their heart. 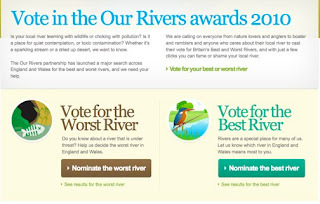 So now people are being asked to go to the Our Rivers website and vote for the best river and worst river in England and Wales. Why not vote for the river that is the best managed for canal boat holidays? The Thames, Ouse, River Avon, River Calder, Great Ouse, Medway Stour, Trent, etc ? Because of very low water levels in the area locks 64 to 67 will only be open between 9am and 4.30pm. Boaters are asked to share locks to save water whenever possible. The locks affected are Church Lock 64 at Great Bedwyn, Burnt Mill 65, Potters 66 and Little Bedwyn 67. Probably best to aim to get through the locks before 4.00pm really. I wonder how long the low water levels will last, but at least it’s after the main canal boating holiday season. Good news for autumn canal boating holidays on the Leeds and Liverpool at last, and well done to all the live aboarders who survived being stranded. There are quite a few lift bridges along the Oxford canal and also sadly some locations where these bridges have been demolished. Soon the Droitwuich canal in Worcestershire will be open for navigation providing new possibilities for canal boating holidays. Yesterday saw a boat enter the 250-year-old barge canal for the first time in 80 years. It was a symbolic act that meant the £12 million restoration of the canal in Droitwich is close to completion. Droitwich was just one of many abandoned waterways. The growth of the leisure industry has sparked a renewed interest in canals as increasing numbers of people opt for narrowboat holidays. The result has been restoration projects across the country with many miles of canals navigable again.